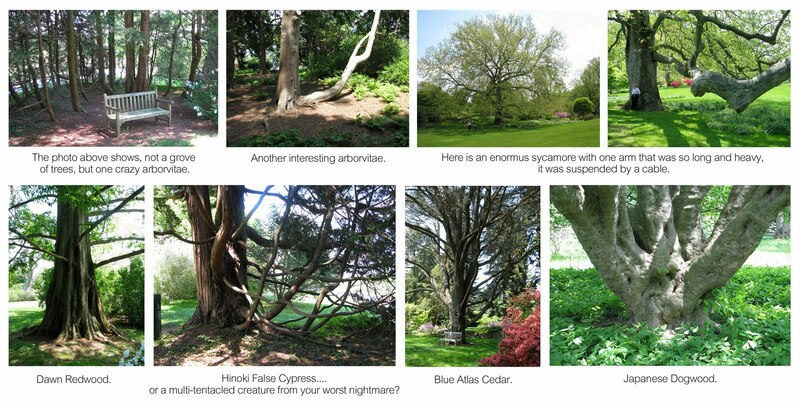 Ever since I read A Splintered History of Wood by Spike Carlson, I've never looked at trees the same way. As soon as I became aware of the herculean effort trees undertake in simply growing, I've thought of them as large creatures deserving of our respect and care. Certainly, as woodworkers, we revel in the color and grain patterns of boards, and marvel at the way finishes bring out the depth and luminosity of wood. But, let's face it: we kill trees. Who among us, when watching the movie Avatar, didn't instinctively try to calculate the board feet when that gargantuan tree-dwelling fell to the ground? 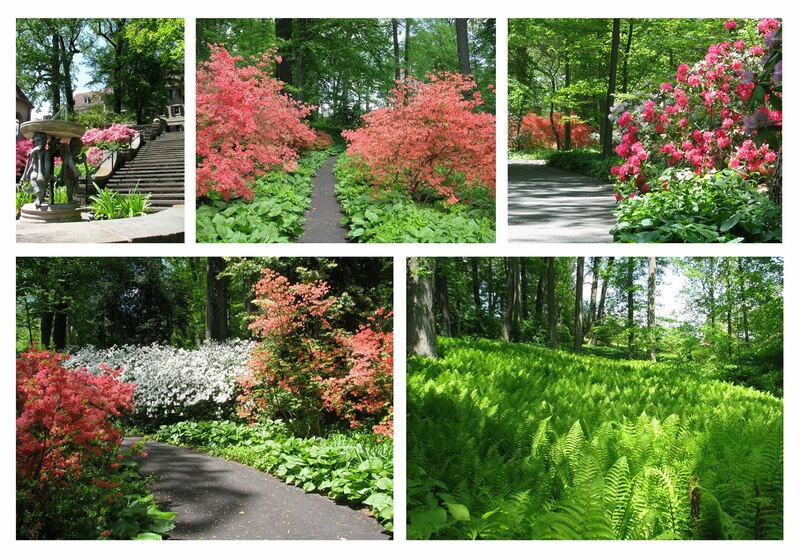 This past weekend, while perusing the magnificent landscape at the Winterthur estate, I was awestuck with the beauty of Henry Francis Dupont's gardening mastery. 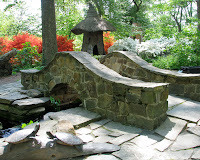 He designed his 2500 acres to appear to be natural when, in fact, he carefully organized the space so that the visual tapestry evolved throughout every season. 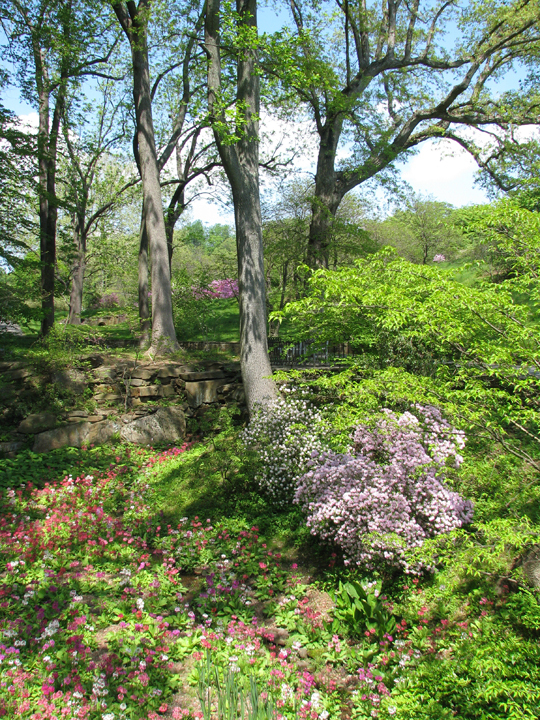 For eight months out of the year, something is blooming at Winterthur. 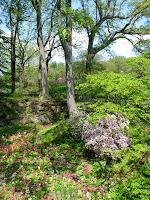 Besides the colorful azaleas, there were sky-high beech and walnut, and fields of feathery ferns. There were also some impressive trees of note. 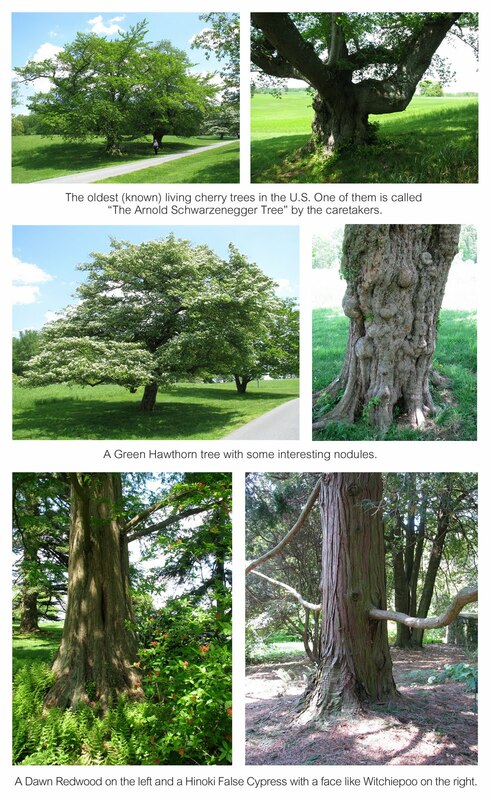 The oldest known cherry trees in the U.S., for example, were planted here in 1918. And they're beefy guys. 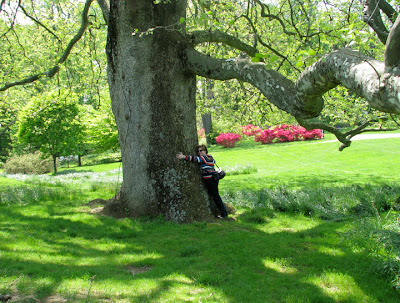 One is affectionately named The Arnold Schwarzenegger Tree by the caretakers because of its massive flexing "arm." Another tree appeared to be a grove of a dozen different trees, but all the "trunks" were actually attached to the same arborvitae. 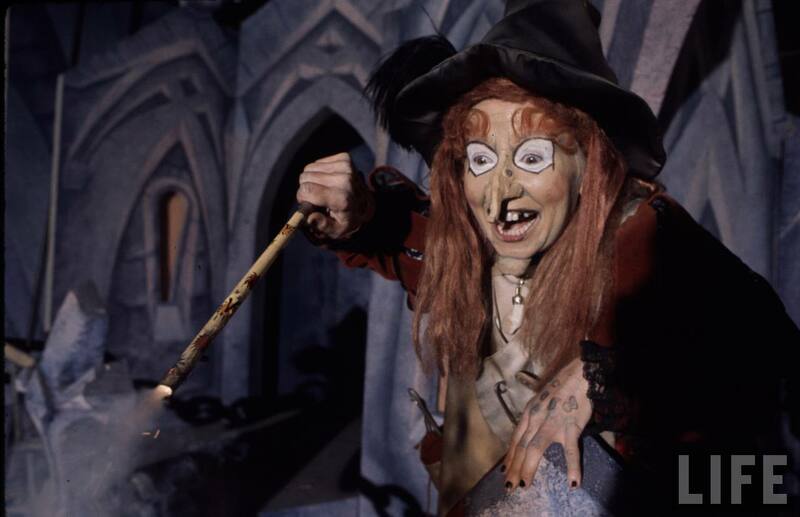 It was hard not to anthropomorphize these characters especially when one was the spitting image of Witchiepoo. 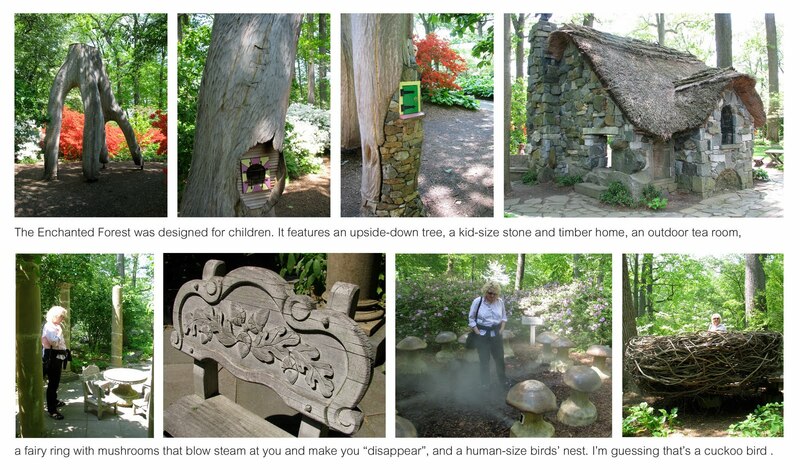 Among the trees was The Enchanted Woods, created for children. Kid-size medieval chairs with leaf carvings, an upside-down tree, and a human-size birds' nest brought out the kid in a certain blogger's middle-aged partner. Henry Francis Dupont designed the landscape in three tiers: ground cover, bushes, and trees. 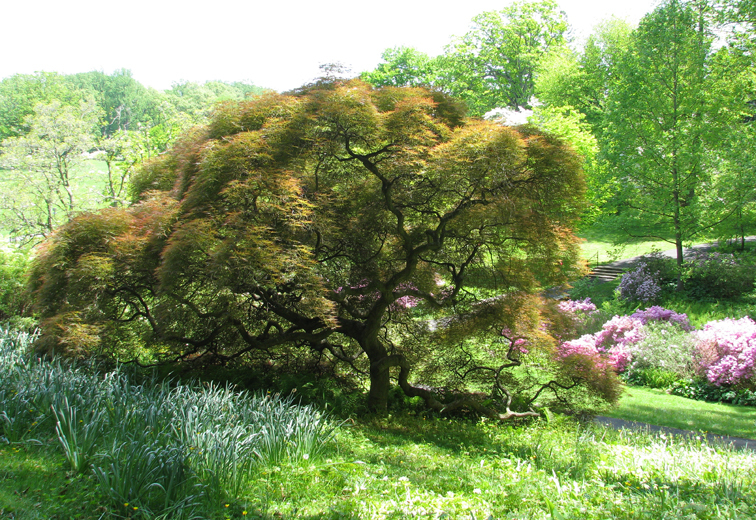 Many of the trees are not native to the area, but were brought from other countries. Hence, the variety. As woodworkers, we love variety—in grain pattern, color, texture, density. We notice things that non-woodworkers do not. How many times, when milling boards for projects, do we stop to admire these features? I suspect we have more reverence for wood than others. We're careful not to waste it, as evidenced by all the piles of tiny offcuts we keep stashed away. And we develop a personal connection as we work with it. We're also concerned with future woodworkers and would like for them to have the same resources that we enjoy. So I ask you, can a woodworker also be a tree hugger? Are those terms at odds with one another?